Information about the numbering can be found here. 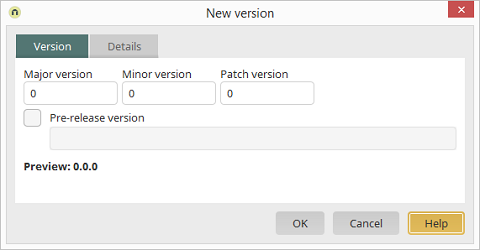 With this setting, suffixes for pre-release versions can be attached to the version number. More information about this can be found here. A preview of the version number is shown here.